This was a great story, centered around the aftermath of the Great War, and Freddie. the story deals with the tragic loss Freddie’s brother who was never recovered and links in with the middle ages of all things and the horrific acts soldiers undertake during the war..don’t worry nothing graphic at all. This is great for a lazy afternoon read or something you can polish off in your lunch hour. 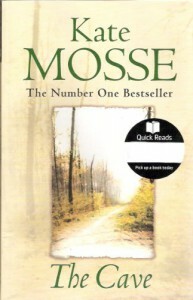 I haven’t read any of Kate Mosse work before but based on this little gem it might be worth investigating further.